One Shoulder Rosette Cocktail Dress. | Sung Boutique L.A.
One Shoulder Rosette Cocktail Dress. 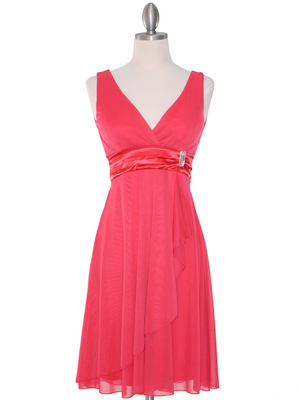 This lovely taffeta cocktail dress features a one shoulder detailed with rosettes. This look is finished with a ruched skirt. Great for any special occasion. -Approx. 36 inches from shoulder to hem.